New York is an at-will employment state, meaning either the employee or the employer can terminate the relationship at any time. 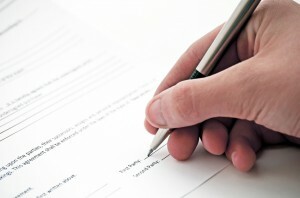 However, some employers choose to recruit employees through written employment contracts. While a written offer of employment may be enticing, the wise course of action is to speak with one of the experienced New York Employment Lawyers at Hiller, PC before you sign anything. The employment contract may be attractive to employers, as it could require employees to give notice prior to quitting. The contract could include non-compete or confidentiality provisions, meaning the employee may be precluded from working for a nearby competitor for a period of time, or from revealing confidential information or trade secrets. Provisions such as these should be clearly defined in the agreement and understood by both parties, as they will have an impact beyond the end of the employment relationship. Benefits to an employee from an employment contract include the certainty of knowing that he can only be terminated for specified reasons, not at will. The employment contract should set forth the employee’s professional obligations and duties, and may include provisions for severance at the termination of the employment relationship. While both employer and employee may benefit from an employment contract, it is prudent to review the terms of that contract with our New York employment lawyers to ensure you understand your rights and obligations. We can identify and discuss with you implications of the contract which may not be readily apparent. For example, an employment contract which provides for severance pay to commence within 30 days of termination may preclude a former employee from qualifying for unemployment insurance until all severance is paid, while an employment contract which provides for severance pay to begin at least 31 days from termination may allow the employee to be immediately eligible for unemployment benefits. These are nuances which should be discussed with our New York employment lawyers and negotiated prior to executing an employment agreement. The experienced Staten Island employment lawyers at Hiller, PC can assist you in understanding and negotiating an employment contract. Call us to schedule a free initial consultation.